It’s Sunday evening, quickly glancing at the clock I realized it’s 1:30 pm, the sun is shining brightly and the sky is blue. It’s the kind of weather you would prefer if you were going to the beach. It’s a bit warm so I have decided to put aside my port wine and try to make some cocktails instead. Of course trying to replicate some of those we had while traveling may be a challenge, but I’ll give it a go anyway. You can read about the drinks and food we had while traveling here. 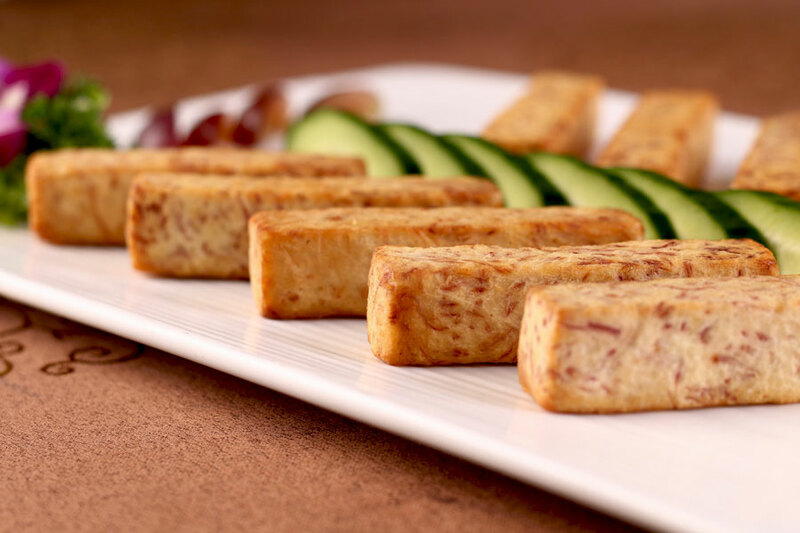 Food has always been an important part of our travels, and maybe the same for most other travelers. Trying the local food, having some of the traditional drinks, including cocktails and treating yourself to the many unique, but delicious desserts seem to add some level of well-being, or maybe comfort, or maybe fulfillment to your visit to another country. 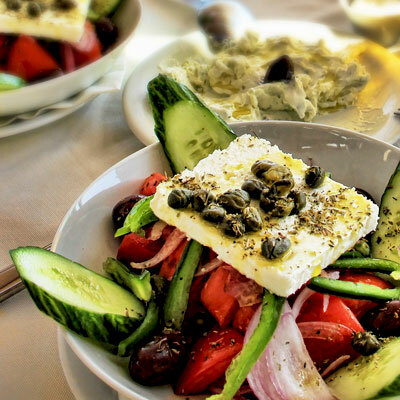 One of the things I remember is the first time we ate Greek food, and you would not believe that we got this in Panama. While in the Bahamas we had scallop, squid, octopus and a host of other seafood that we normally wouldn’t think about eating. One of the things I really wanted to try on our visit to Aruba, but did not get the opportunity, was an ostrich meat dish. Imagine holding and chomping down on an ostrich drumstick, but yeah, I know it’s probably not served like that, but a man can only dream, right! 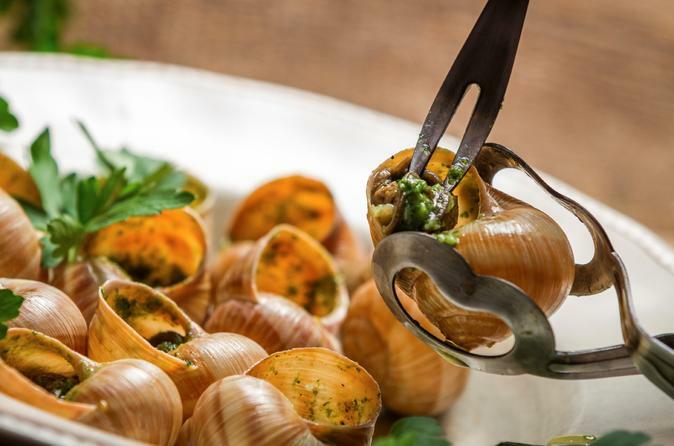 Because food and cuisine in the Caribbean have been influenced by the Spanish, French, Dutch, East Indian, African and well, much more, it is a must for any foodie or food travel lover to visit and try some of the wonderful dishes the region has to offer. So, I have mixed my first cocktail, it's a Bahama Mama and this is from our travels to the Bahamas. I can't remember exactly how it tasted then, but this is really hitting the spot. It's a combination of pineapple juice, white and red rum, orange juice, Nassau Royal Liqueur, Angostura Bitters, grenadine syrup and a Maraschino cherry for garnish. Ah! Refreshing! Anyway, back to our story. One of the trips we are planning for the future is to visit some of the best food and drinks festivals in the Caribbean. 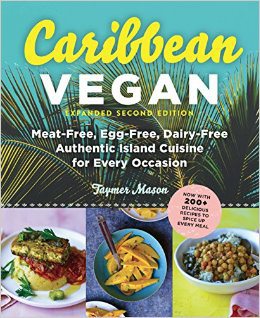 We figure this is a great way to taste some of the local, as well as versions of international dishes and of course take in the splendour of the Caribbean Islands. So here is a list of the top eight Caribbean food and drinks festivals that you should definitely visit in the Caribbean. Photo Credit - Festival Del Mar in Anguilla. We start with the Festival Del Mar in Anguilla. It's a unique festival as it celebrates all things of the sea, featuring traditional cooking and culinary competitions (only seafood recipes), swimming races, fishing tournaments, boat racing and much more. According to the Anguilla Tourism Board, the event, which will be held from March 20th – 21st, this year (2019), celebrates the island's seafaring heritage plus giving visitors the opportunity to learn about the cultural traditions of Anguilla. While there are many events spread throughout the two days of festivities, surely the highlight is the culinary competition featuring the best seafood soup, best seafood salad, best local seafood dish, best roasted seafood and the best grilled seafood. The reason we chose this event is because it is unique, it's all fish, it celebrates the country's heritage and honestly, I am really curious to see the variety of dishes a food festival using only fish can generate. BTW, I have never heard about seafood salads and this is another reason why Festival Del Mar is on our list and we are heading to Anguilla. Soon! Another unique festival, which we want to visit, is the Blue Food Festival in Tobago. I know what you're probably thinking. What on earth is blue food? Dasheen as it is known in Trinidad and Tobago and some other Caribbean countries is referred to as blue food. If you still don't know what it is, then maybe you know it by its Binomial name, which is Colocasia esculenta or in some countries Taro. If you insist on finding out more about Colocasia esculenta or dasheen check Wikipedia here. Anyway, this ground provision when boiled turns blue; hence the reason it is referred to as blue food. The Blue Food Festival basically features the versatility of dasheen and it uses in dishes and drinks including cake, champagne cocktails, many appetizers, and ice-cream. The event is carded for October this year (2019. Check back for the exact date.) at L'Anse Fourmi/Bloody Bay Recreation Grounds. 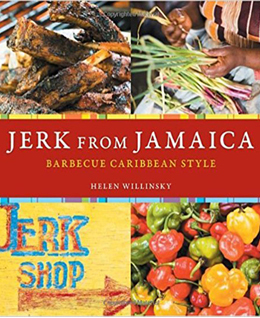 Besides Reggae, Bob Marley, Usain Bolt and its many beautiful beaches, Jamaica is also known for its jerk chicken as well as its seafood. And yes, there is a festival for that. 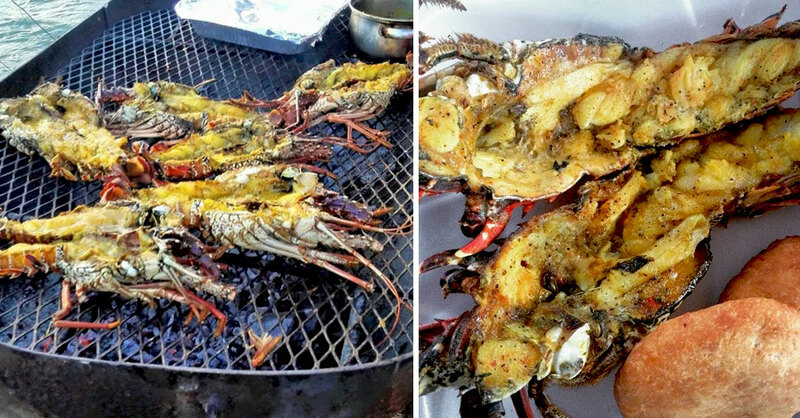 The Ocho Rios Seafood Festival features a variety of seafood dishes which includes lobster, conch, fish, crab, shrimp, eel, scallops and octopus as well. 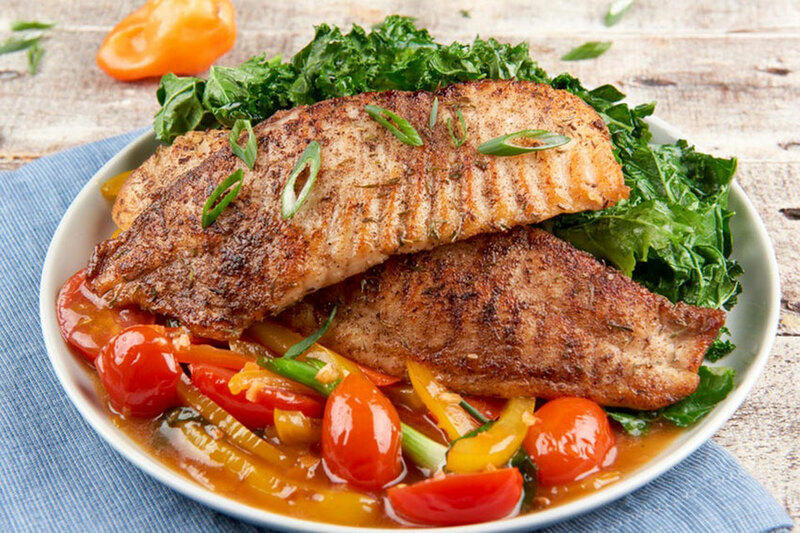 So if you like seafood, then you definitely can't miss this one. Carded for August 6th, this year (2019) at Turtle River Park in Ocho Rios, the event has been around since 2007, and also features performances by reggae artists. Last year Bounty Killa, Tifa, Ke-Ke I Little Hero and Safiyah were carded to perform at the event. A kiddies village and a celebrity cook-off are some of the other features of the event. 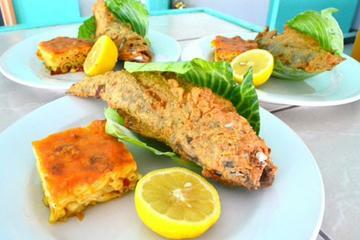 We chose this one because we love seafood and because it is being touted as one of the best culinary events in Jamaica? The event was endorsed by The Jamaica Tourism Board in 2018. Yes! That is the name, honestly! Now in its tenth year, the Barbados Food and Wine and Rum Festival (BFWR) features international and local chefs, wine experts and mixologists and highlights the food, wine and rum of the island. Activities in the four-day festival include cooking demonstrations, wine tasting and pairing, Q&A as well as interaction with international chefs. You can also purchase books from featured chefs and get them autographed. That is, if you are into that kind of thing. The Food and Wine and Rum Festival is scheduled for Thursday, 24th October – Sunday, 27th October, this year (2019). Featured chefs include Creig Greenidge, Damian Leach, Jamal Whittaker, Michael Hinds, Michael Harrison, Rhea Gilkes, Rodney Corbin and Javon Cummins. Featured Mixologists include Thaddeus Sealy, Jamaal Bowen, Ryan Adamson, Dameain Williams, Antonio Busby and Shane McClean. OH! And if you are planning to attend, make sure an get some flying fish and some Bajan rum. You will thank me later. Some of the chefs featured in past festivals include Chris Cosentino, Duayne Holligan, Marcus Samuelsson, Ed Baines and Stephanie Izard. We chose this one because it is probably one of the bigger food festivals in the Caribbean and because Barbados has a really vibrant food scene. I have never eaten conch, even though it is popular in a lot of the Caribbean islands and this is exactly the reason that we chose this festival. This year the festival will be held on Saturday, November 30th (2019) and the highlight will be the island's best chefs being judged in categories including best conch salad, best conch chowder, best specialty conch and best in show. In addition to this, there is also the “Home Kitchen” event where home cooks will be judged on their favorite conch recipes. The TCCF was started in 2014 and like many of these festivals; there are a lot of activities and entertainment including events tailored for kids and beverages for adults, if you know what I mean. There is also a competition for the best Mojito. Speaking about beverages, my Bahama Mama is done and I am heading to make another cocktail. This time I am going to try something we had in Curacao called a Blue Lagoon. You need one ounce vodka, one ounce Blue Curacao Liqueur, three ounces lemonade or soda, whichever you prefer, and one cherry. Mix vodka and Curacao in glass with ice. Fill glass with lemonade and garnish with the cherry. This is not only refreshing but also beautiful. That's because the color of Blue Curacao is turquoise, or maybe as the name implies, blue. So, let's move on to the next festival. Photo Credit - Spices Of The Caribbean. Jade Mountain Hotel. This festival is organized by the Jade Mountain Resort and features award winning chef Allen Susser, his culinary team as well as the Executive Chef of the hotel as they open the spice box for four days and take you around the world on a cuisine adventure. Some of the highlights of the event include the Spicy and Delicious Cocktail party, which features a complimentary handmade Jade Spiced Rum cocktail using Nutmeg, ginger, vanilla and cloves as ingredients. Another event you can take part in is the Caribbean Beach Tandoori cooking class, where the executive and the Indian chef of the hotel work together to uncover the spicing secrets of Tandoor Cooking in the Caribbean. The festival is scheduled for October 17th - 20th, this year, 2019, and features the resort chefs competing in a competition preparing signature burgers as well as side dishes, salad and condiments that will complement each burger. You can wash it down with Piton beer (St Lucia's local beer) and rum punch. 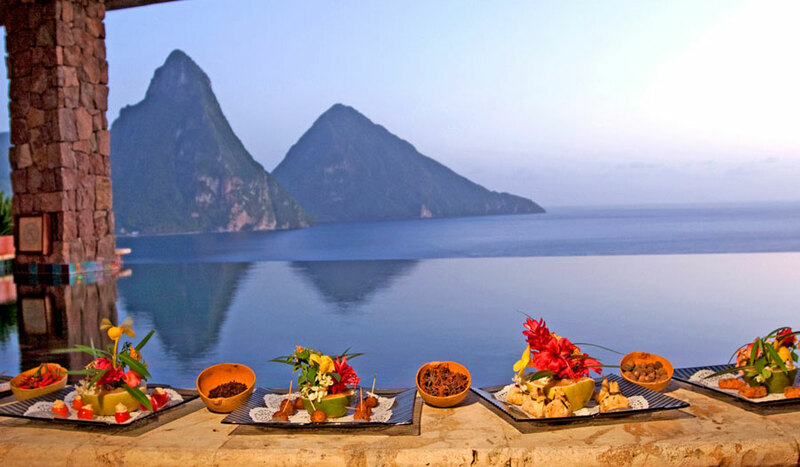 We chose this one because we love St Lucia, spicy foods, and the Jade Mountain Hotel. It is one of the hotels on our list. So, we can probably kill two birds with one stone. Please note that you will have to pay for some items, but most are free for Jade Mountain guests. What is a trip to the Caribbean without a little rum education? 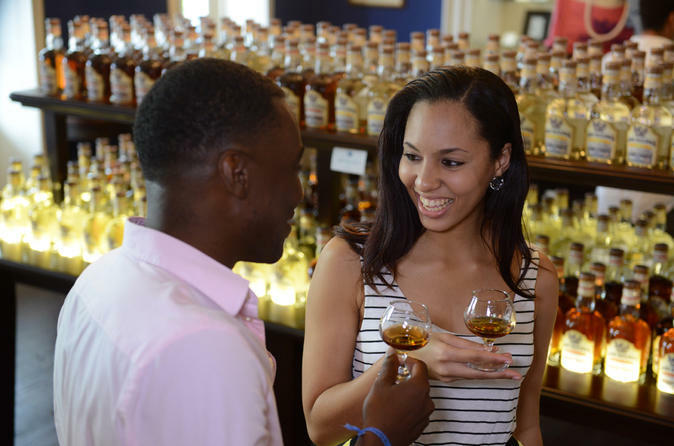 Taste your way through downtown Nassau on this rum and food walking tour with a friendly local guide. Do some exploring that is away from the tourist area and go through the local areas on the island. 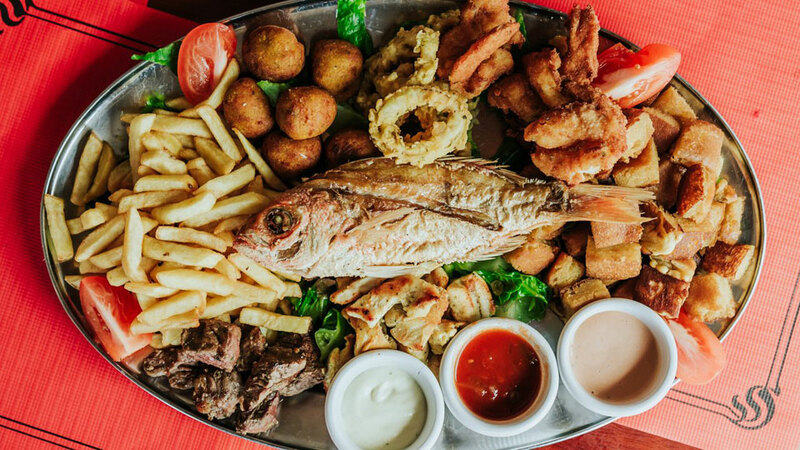 Take an exciting 4-hour culinary road trip across 4 restaurants on the Dutch and French sides of St Maarten/St Martin with this Flavors of St. Martin Food Tour. This ELARM event was first held last year (2015) and ran for 12 days. This year the event is scheduled to run from October 1st - 31th this year (2019). It appears that the festival has been expanded and now runs for the entire month. Previously it was just for one week. This is definitely a good sign for the future of the event. 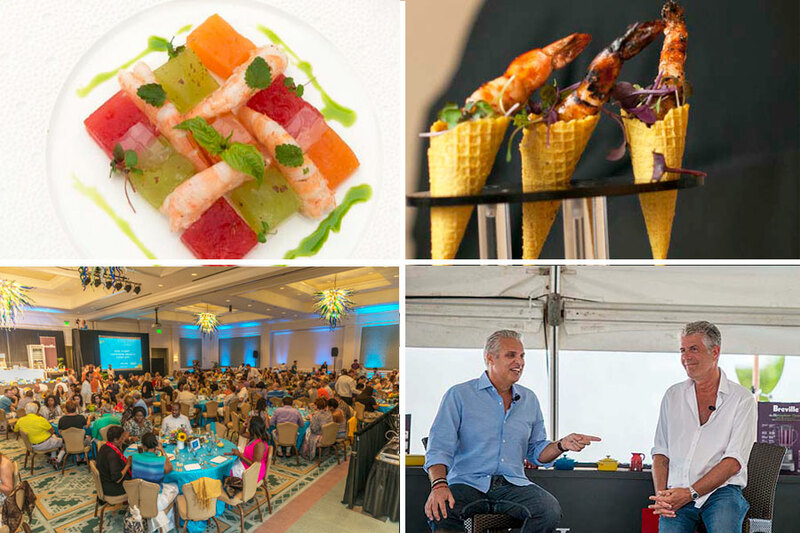 According to The Aruba Tourism Authority (ATA) website the event was developed to promote the island's diverse epicurean scene while highlighting Aruba's varied flavors by incorporating locally-inspired dishes into the menus of participating restaurants. 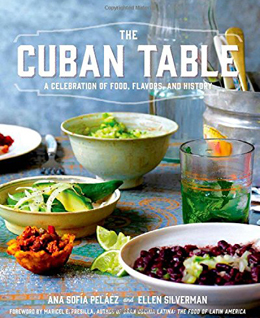 During the event, participating restaurants present their top Aruban recipes to attendees in a prix fixe lunch menu. We chose this one because we think this is a great opportunity for food critics, wine connoisseurs, foodies and anyone looking to explore Aruba's culinary heritage. Oh! And yes we visited Aruba and you can read about that here. During one of my visits to the Cayman Islands I actually ate stew turtle. While I didn't really like it much, I loved the idea of trying something new. 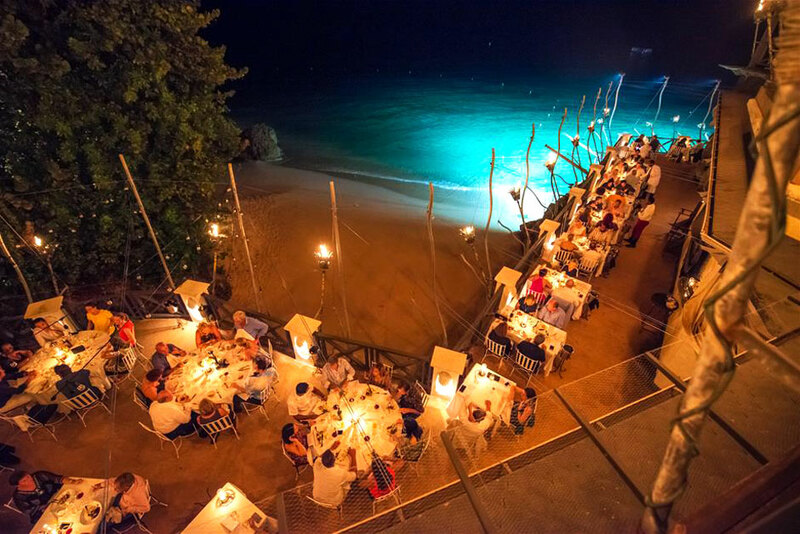 The Cayman Cookout, which is in its eight-year, features a mixture of culinary events, which highlight food prepared by some of the world's top chefs, demonstrations, tastings as well as wine events and sit-down dinners. Unfortunately the 2019 edition was held in January of this year. So if you are interested in this one you will have to wait until next year. This year some of the featured celebrated chefs included Eric Ripert, Jose Andres, Anthony Bourdain and Cindy Hutson. We chose this one because of the top international chefs, the signature events and especially the new “The Sound of Krug” event which offer guests the opportunity to taste some of the rarest Champagnes in the world. While we did not mention much about drinks, most of these festivals will feature both international and local beverages including wine, and popular local concoctions. Personally, I love to try the local stuff and you should give them a try as well. So with that being said I am about to get another cocktail and maybe, just maybe you will see us in one of those Caribbean food festivals.